As one of the largest donors to HackensackUMC we are very proud of the remarkable donations we have made for the benefit of our patients and all other pediatric departments. STRIVING TO FIND THE CAUSE-AND THE CURE. 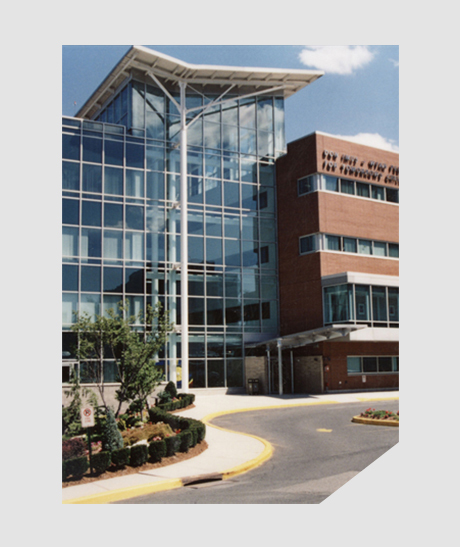 This seven story, leading-edge facility is home to the Institute for Pediatric Cancer and Blood Disorders Reuten Clinic, New Jersey’s premier center for the diagnosis and treatment of pediatric cancer and blood disorders. Today, it’s where children from all walks of life come for compassionate, world-class medical care from an expert and comforting staff. A place little ones undergoing treatment often linger to finish an art project or learn another magic trick. Where teenagers pound pinball machines, enjoy music and master video games as hours formerly dreaded now move by quickly. It is where parents share their hopes, fears and concerns with others who understand their pain. Thanks to the support of Radio Icon, Don Imus, WFAN Radio, and the Tomorrows Children’s Fund, the facility opened its doors in 1994.